This is my latest project: It is a motion activated fully automatic airsoft turret. Click here for pictures and videos of the turret in action! The most important component of this turret is the G36 Airsoft Gearbox. I removed it from a G36 Rifle which was converted to a Coilgun. This unit runs on 7.2 Volts and has a pretty high rate of fire - you can see it here. The 0,12g BB's kinetic Energy is <0,5 Joule. The next step was mounting the Gearbox to the turrets baseplate. The plan was to cover some area in front of the turret by automatically waving the barrel from left to right. This 40° angle allows the turret to be placed on the ground still hitting its targets. No turret works without some kind of automatic alarm or tracking system. In this case I wanted to use a motion activated system, which could be disabled by a remote control. 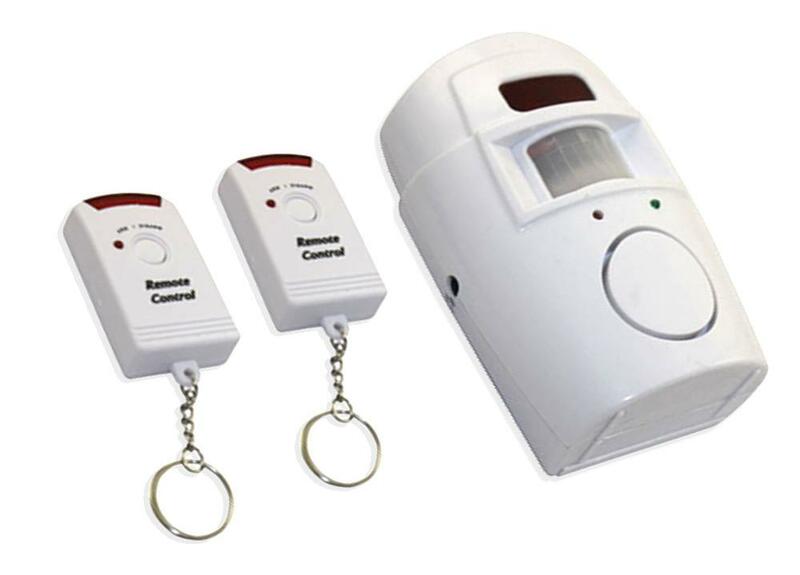 This infrared motion activated alarm system for a few bucks was the perfect thing for the job! After arming it via the remote control, a green Led will light up for 10 seconds givin you the chance to get the hell out of its range. Once movement is detected a red Led will light up blinking together with a sirene until you get out of its range again. You can also shut it off the remote, of course. This BD649 will activate the airsoft gearbox and turning able as soon as the red alarm Led lights up. If you don't know how to hook up this transistor, look up the datasheet and take a look at wikipedia how a transistor works! I am not responsible for any injuries afflicted by your experiments! Allways wear safety goggles and use airsofts with caution!